Dáreece Walker (b.1989) is a Visual Artist currently living in Brooklyn, NY. Walker creates figurative narrative paintings, drawings, and sculpture that combine race, identity and religion into socio political responses. Walker received his B.F.A. in Visual and Performing Arts from the University of Colorado and his M.F.A. from the School of Visual Arts in New York City. 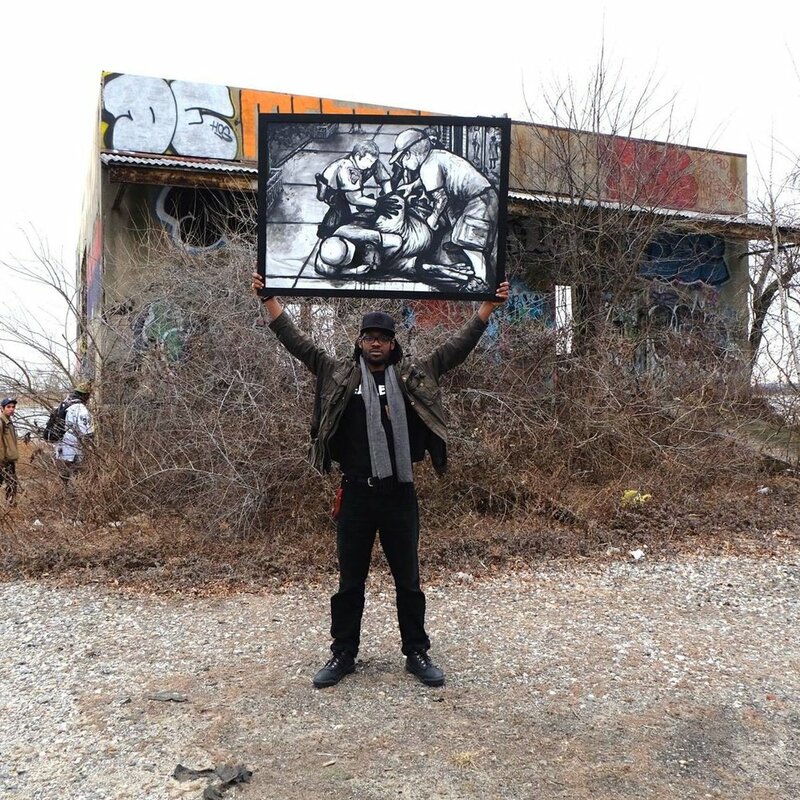 His work has been featured in the New York Times, the Washington Post, and Hyperallergic. Recent shows include, 'Respond' at Smack Mellon Gallery in Dumbo, the 10th Annual Governors Island Art Fair, Prizm Art Fair in Miami and 'Black is the Giant', a Solo Exhibition at the Long Gallery in Harlem, among others.